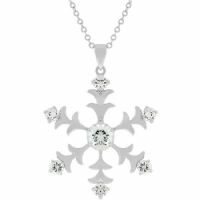 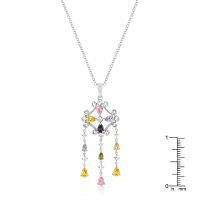 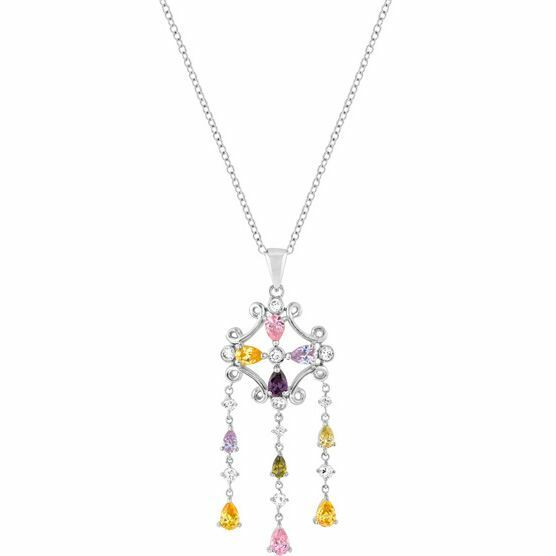 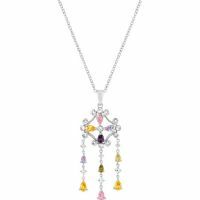 Silvertone Color Dangle Pendant featuring: Royal style pendant decorated with pink, purple, yellow and orange cubic zirconia stones and accented with sparkly silver details. Let the luster of this multi-color dangle pendant shine brightly around your neck! 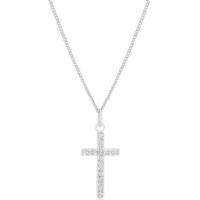 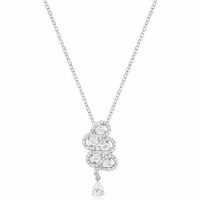 Genuine Rhodium Plating is achieved using an electroplating process that coats the item with heavy layers of rhodium a close cousin to platinum which gives our jewelry a platinum luster.